I use blenders all the time. I make baby food, dips, smoothies, soups, and more. I've never had ice chunks left over in drinks after using this. If I want some chunks of something left in it, that is easy to do as well, this doesn't over blend everything into oblivion. Ease of Cleaning This machine is so easy to clean. I just fill it part way with some warm water and add a little bit of soap and turn it on. A rinse and wipe down for the outside, and it's good to go. Design I love that it's not a round blender, so when I want to pour out something that's a little thicker, giving it a tap on the side works so much better than it does on round blenders. Durability I've gone through several blenders in my lifetime, and I think this one is around for the long haul. I definitely think it's worth the monkey to get a good blender rather than thinking you can make due with a crappy, cheaper kind. I would have saved more money in the long run getting this one in the first place. I love the Vitamix so much I want to marry it! The Vitamix does everything but the dishes...seriously you will love this machine! It is extremely easy to use and gets the job done every time. From smoothies to soups I know I can create the perfect texture of whatever I'm making each time I use this animal. This machine does the work others fail to the first time around. Treat yourself to quality and you won't regret it! I've had friends rave about the quality of the Vitamix but I never fully understood until receiving one as a gift. It's my everyday go to because of its versatility, ease of use, and capabilities. I'm very picky about my smoothies blending properly and the motor in this machine works very hard to deliver the results I expect. I was impressed by the power. It's no trouble at all to blend hard vegetables or even nuts to make flours or nut milks. Ease of Cleaning I do find it's hard to wash Chia seeds off the inside of the blender. For whatever reasons they stick quite easily. Yes, it blends the usual suspect things you might want to blend -- smoothies, ice, etc. This blender also makes soup (if you want) and I can make a green shake in less than 5 minutes. It blends things finely (if you want). You can make ice cream in it (if you want). It's super! Love it! Well worth the extra cost. 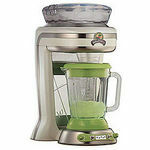 Ease of Cleaning Easiest blender to clean -- just add a little soapy water, turn on the blender and voila, it's clean! I received my vitamix blender as a gift. I don't know how I lived before vitamix! I make every thing from salad dressings to smoothies to almond butter in this machine and have never been disappointed! 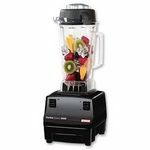 I would highly recommend this blender to anyone interested in purchasing a blender. The price may be high, but you will never have to buy another blender again. Its a food processor and a juicer and a blender all in one. Blending Power this makes almond butter like it was blending strawberries! Ease of Cleaning super easy to clean. After use, just fill halfway with water and place back on base and run it for a few seconds to whirl around like a mini dishwasher, rinse and good to go. 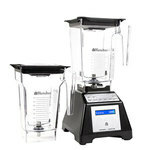 Ease of Use there is a learning curve in the beginning only because you have never had another blender with such power. Once you get a few smoothies in you, you are inspired to blend everything! Design wish it was shorter to fit on my counter under cabinets. Durability this could easily be used in a restaurant setting as well as at home. Best investment for my kitchen. I love my vitamix. My vitamix is indestructible. At first I was nervous using it because it is so big and it is loud, but the result is worth it. I can puree baby food, make smoothies, milk shakes. I've even chopped nuts in it and made bread crumbs. If you use a blender often like two or three times a week, you want this blender. It will most certainly stand the test of time. Blending Power Oh goodness, if I didn't know any better I'd be looking for the v6. Versatility It only has two speeds. 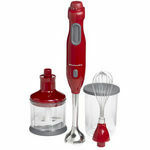 I know other blenders have chop, blend, puree etc... options. In my opinion this is the only down side. Ease of Cleaning I just stick the container and lid in the dishwasher and it comes out nice and shiny. Ease of Use Very basic easy to use. you have on off and high and low speeds. Design It is a sturdy heavy duty design. No complaints here. Durability Well have you looked at one of these? it has been dropped (Im clumsy) and thrown (by my kids) and you wouldn't know unless I told you. This product is exceptional, and I can highly recommend it to everyone. I love it for soups, smoothies, margaritas, the best macaroni and cheese ever, just about anything you can think of. The only slightly negative comment is that it is a little tricky to clean around the blades on some of the thicker recipes. I received as a gift and have used it every day since. It has replaced my other blenders and food processors. I am always looking for new recipes to use in the Vitamix. 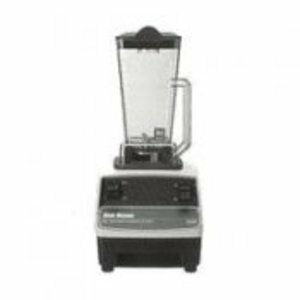 When you want to mix up a smoothie and you are using frozen ingredients and some wet, the power of this motor get you to smoothie perfection in minutes -- as in, two or three minutes! Blending Power Always s a good idea to make sure ingredients are at least as small as a strawberry, just so you don't over-challenge the motor. Versatility I've made all kinds of things -- chunky salsa, smooth mango lassi, pureed soups,... my husband once wanted to whip some cream and didn't listen to me about how long to mix -- and he made fresh butter! Ease of Cleaning A drop of dish soap in the container goes a long way. Ease of Use Easy to use instinctively, but the included recipe binder helps, too! Design A key to the performance is the lid, which goes into place easily and you know it is sealed. We've all seen what a lid not truly sealed will do for decorating the ceiling and walls... Durability I have had this thing (WAY) more than 10 years and it is still going strong just as when I first got it. 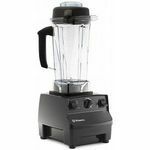 I have burned through several cheaper blenders but I was still nervous about the purchase price of this blender. However, this blender is a bargain overall. I make everything from ice cream to soups with this blender and have only had a minor inconvenience. When you make up a blender full of frozen fruit for ice cream you run the risk of overheating the motor. Not to worry, just a few minutes of cooling down [I actually place the motor in the freezer] and you are ready to finish without any damage to the machine. I know because I did that several times before fiquring out just how much I could make at a time without overheating. I use the Blender nearly everday and several times on some days. There is no end to what you can do with this one! Blending Power You can instantly crush ice, pulverize fruits and vegetables into a smooth [almost water like] smoothie full of vital nutrients. You can make nut pastes and flours. Versatility Only your imagination will limit your uses. Ease of Cleaning Very easy to clean but since I use it so much I still end up spending a lot of time cleaning. I am not complaining though as it is much easier to clean than my food processor which sits almost unused now. Ease of Use Once to practice a bit to get familiar with the machine, nothing could be easier. Design My only complaint is that the entire unit is too tall to fit under my cabinets and take up so much of my limited counter space disassembled. Still, I don't use my food processor now so it frees up some space. Durability I bought mine almost seven years ago and use nearly everyday with absolutely no problems.